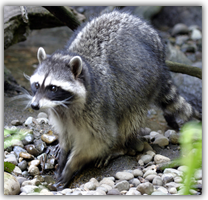 Zionsville, Indiana property owners can relax now that our professional raccoon removal team is here to help! We have been in business since 1992 and are highly qualified and insured to remove raccoons in any situation. 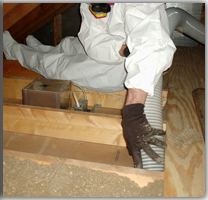 We use the proper equipment and methods to safely relocate raccoons as well. Call us today at 317-535-4605 for a free phone estimate on raccoon removal in Zionsville, Indiana. Getting rid of raccoons is a job strictly for our professionals in Zionsville, IN. Whether it is just one raccoon or an entire colony, we are prepared and experienced to take on any number of raccoons. 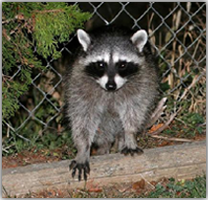 Raccoons can cause a huge amount of damage to the exteriors and interiors of buildings and homes, so it is important to act quickly once you are aware of a raccoon. 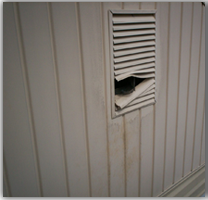 We offer raccoon damage restoration services, so there is no need to worry if damage has already occurred. Call us to learn more about getting rid of raccoons in Zionsville, IN.